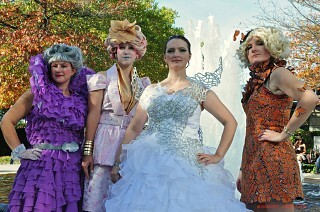 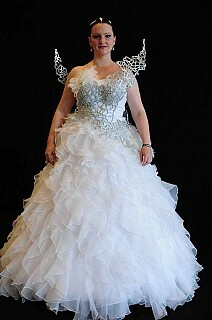 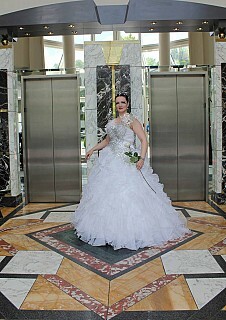 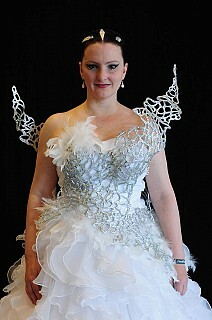 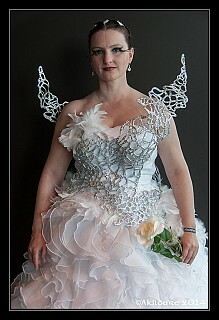 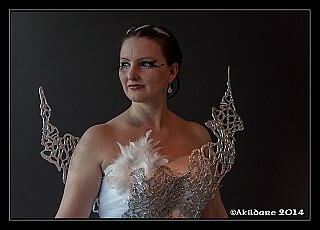 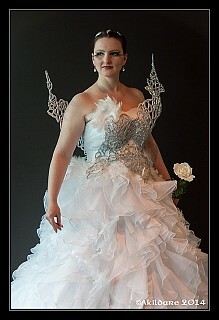 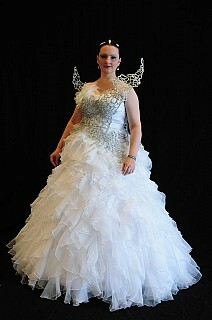 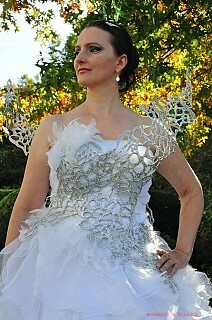 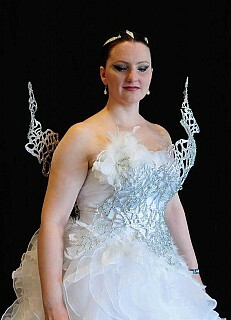 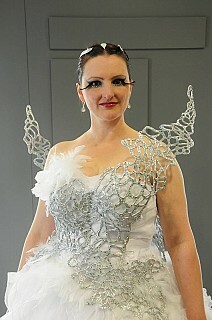 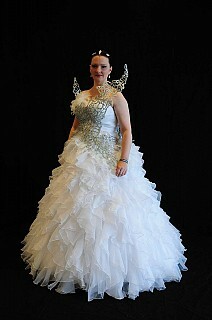 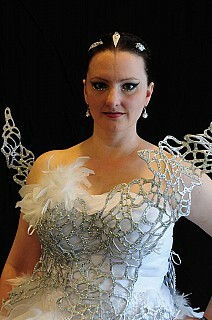 This costume is not intended as an accurate reproduction but as a ‘just for fun’ version of Katniss’s interview bridal gown. 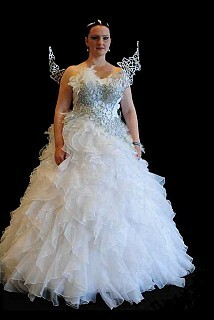 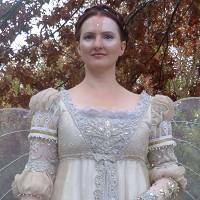 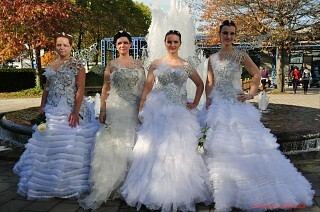 The gown is a ready-made wedding gown which is additionally decorated on the bodice with a white feather trim. 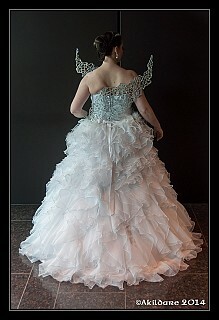 It has a small train and closes in the back with hook and eye closure. 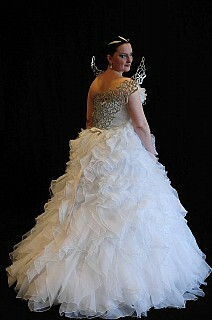 A big hoop skirt is worn underneath. 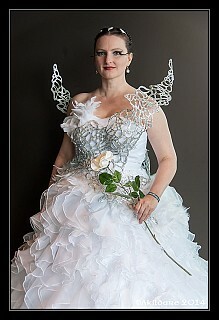 The metal cage bodice is composed of two parts, a front and a back part, and is made of PVC rigid foam. 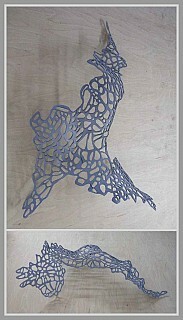 The holes are milled out with a Dremel tool and sanded by hand with sandpaper. 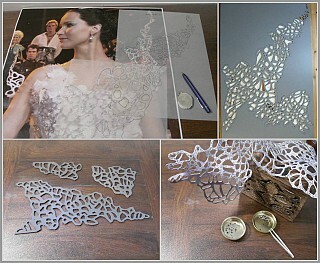 The cage is brought into shape using a heat gun, painted with silver acrylic paint and decorated with several thousand rhinestones in different sizes and colors (crystal and crystal AB). 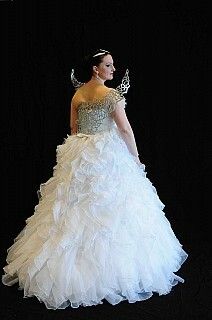 The cage bodice is attached to the gown with the help of a waistband made of satin and nine pairs of small cords. 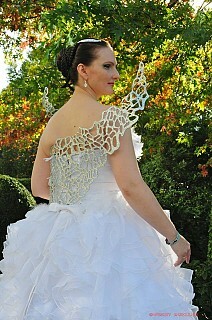 The hairpiece consists of a braided bun with is decorated with four small braids. 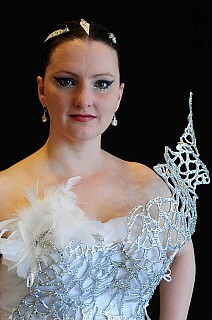 Three white feathers are cut in shape, clued onto a tiny comb and decorated with some rhinestones.